Welcome to the Overland Judith Wright Poetry Prize for New and Emerging Poets. This prize was established in 2007, with support from the Malcolm Robertson Foundation, to foster poetry by writers who have not yet published a book of poems under their own name (see the prize guidelines for details). 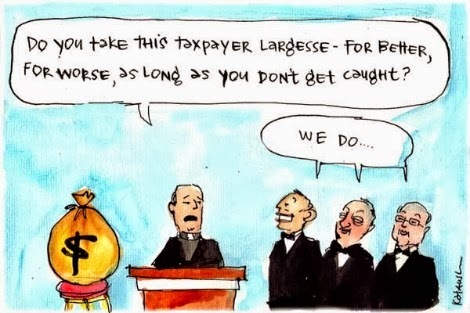 The 2013 major prize is $6000, with a second prize of $2000 and a third prize of $1000. All three winning poems will also be published in Overland . The competition closes midnight, Saturday 16 November 2013. The competition will be judged by Overland poetry editor, Peter Minter, with winners announced in the first issue of Overland in 2014. Please ensure you read the prize guidelines and confirm your eligibility before submitting. Writers can subscribe to Overland for one year (four issues) at a discounted rate, and enter the competition at the special subscriber rate. Take out a new subscription and enter the competition here. Current Overland subscribers enter the competition at the special subscriber rate of $12. Current subscribers enter the competition here. Entry to the competition for non-subscribers is $18. Non-subscribers enter the competition here. 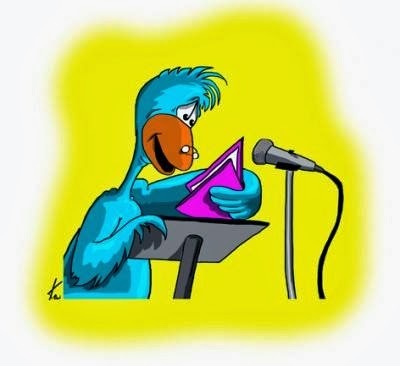 Busybird Publishing's Open Mic Night has been a roaring success since we introduced it earlier this year. More and more people are coming to read from their novels, their short stories, their poems, or to sing and perform. It's a fun night full of lots of enjoyment! So if you're a writer (of any sort) or a singer and would like to try your material on a live audience, why not come on down? Or you can just come down to watch! 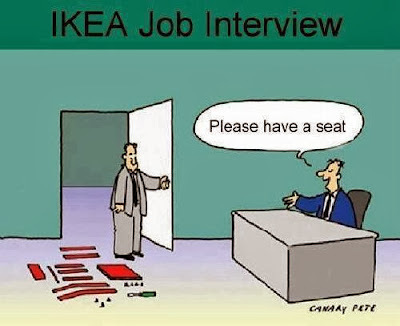 No bookings are required. Gold coin donation. Refreshments provided. Again, note that due to the popularity of Open Mic Night, we're now STARTING at 7.00pm. You are warmly invited to the Ipswich launch of “Weranga” BR Dionysius' new poetry collection at 191athecomeup, 191a Brisbane Street, Ipswich (above Deanne’s Coffee Shop) from 6-8pm this Saturday 2nd November. Free admission, free wine and free champagne! 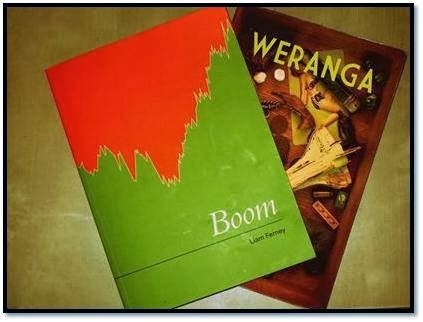 His new collection, "Weranga" (Walleah Press), will be launched by poet Vanessa Page and comes hot on the heels of "Bowra" and recent success in the 2013 Arts Queensland Val Vallis Poetry Award. He will be joined by Brisbane poet Liam Ferney who will read from his new collection “Boom” (Grand Parade Poets) and to finish the night there will be free music from a three piece local acoustic group called Bxta. The eminent Craig Amos, designer of “The Story of IGS” book cover also designed the excellent cover for “Weranga”. Liam's second full length collection, "Boom" (Grand Parade Poets) collects poems written in South Korea, England and Brisbane. His work was recently translated into Mandarin and published by one of Beijing's leading literary journals. — with Brett Dionysius. CORDITE 43.1: PUMPKIN is now live! This special issue presents eight comics/graphic novelists' adaptations of poems. The points of the exercise are a bit of fun and to explore the quasi-transmedia intersection of the literal and the visual, and how the latter might interpret the former. Please consider submitting to CORDITE 44: SILENCE, with poetry guest-edited by Jan Owen. 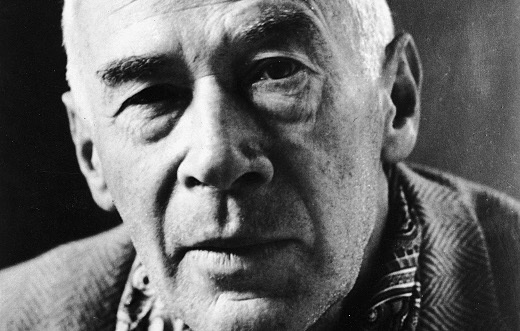 In the early-1930s, as he wrote what would become his first published novel — the hugely influential Tropic of Cancer — Henry Miller wrote a list of 11 commandments, to be followed by himself. The list read as follows. Discard the Program when you feel like it—but go back to it next day. Concentrate.Narrow down. Exclude. What may have been Seamus Heaney's final poem, a "heartbreakingly prescient" reflection on the first world war, has been published for the first time by the Guardian. 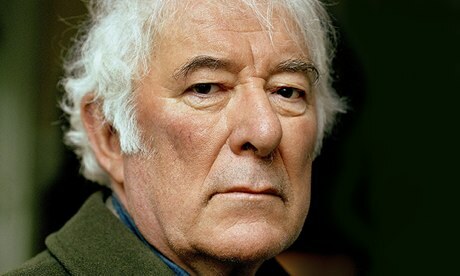 Heaney was invited by the poet laureate, Carol Ann Duffy, to contribute to a memorial anthology marking the centenary of the outbreak of the first world war. She asked poets to respond to poetry, letters and diary entries from the time. Heaney chose Edward Thomas's great poem, As The Team's Head Brass, which he wrote in 1916 shortly before he asked to be posted to the front – a decision that led to his death at Arras the following year. In response Heaney wrote In a Field (see HERE), completed in June, two months before his own death and now published for the first time. Duffy said: "Seamus's poem is typically beautiful, placed and weighted at the centre of the poetic landscape which he made so familiar to us all, and above all, heartbreakingly prescient." The complete shortlist for the 2013 TS Eliot Prize has been announced, and features names including George Szirtes, Michael Symmons Roberts and Robin Robertson. Michael Symmons Roberts was this year's winner of the Forward Prize. Helen Mort is the surprise inclusion on the list, after having been shortlisted for her first full collection. Born in 1985, she became the youngest ever poet in residence at the Wordsworth Trust in 2010, and is now Derbyshire's poet laureate. She has previously published two pamphlets of poems. The shortlist comprises 10 books, including four collections (those by George Szirtes, Michael Symmons Roberts, Moniza Alvi and Anne Carson) which have already been named Poetry Book Society Choices from 2013. PBS Choices are automatically shortlisted each year. The winner, who will be announced on January 13 2014, receives £15,000. 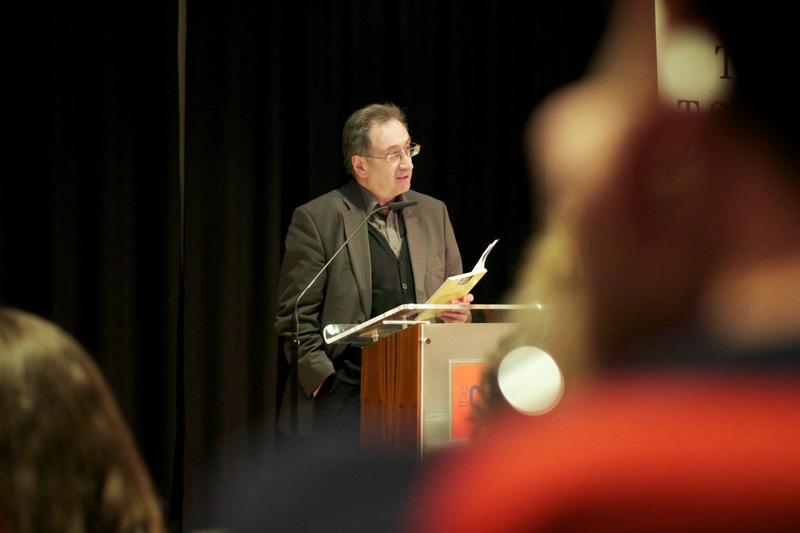 Each of the shortlisted poets receives £1,000. The judges are Ian Duhig, Vicki Feaver and Imtiaz Dharker. Last year's winner was Sharon Olds, for her collection Stag's Leap. She was the first female American poet to win the award. A DYLAN Thomas poem will be performed as a jazz song in the poet’s old bedroom next Sunday to mark his birthday. Swansea group Afternoon in Paris will premiere their original gypsy jazz style musical interpretation of Dylan’s poem The Clown in the Moon at 5 Cwmdonkin Drive - where the poet was born on October 27, 1914. Although the date will be the 99th anniversary of the birth of Dylan Thomas the house where he was born and lived for 23 years the day before it will also be celebrating his 5th Birthday. Geoff Haden, who runs the home as a living museum, said: “The Clown in the Moon was written in this house when Dylan was just fourteen years old." may be on any theme, maximum 50 lines and must be typed. Friday 29th November 2013 at 7.30 p.m. Venue tba. All Prize winners will be invited to read their poems at the award ceremony at a venue in Melbourne which has yet to be decided. 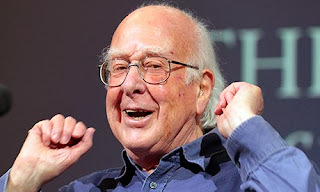 The Peter Porter Poetry Prize is one of Australia’s most lucrative and respected awards for poetry, and guarantees winners wide exposure through publication in Australian Book Review. This year, poets are encouraged to enter online. Also for the first time this year, international entries will be accepted. Entries must be one single-authored poem of no more than 100 lines, written in English. Previously published or prize-winning works not accepted. Entries must not be on offer to other publications, prizes or anthologies for the duration of the Prize. Planet Books are pleased to announce the upcoming launch event for Paul Carter's newest book, Ride Like Hell and You'll Get There: Detours into Mayhem. The latest offering from the bestselling author of Don't Tell Mum I Work on the Rigs, She Thinks I'm a Piano Player in a Whorehouse, This is Not a Drill and Is That Thing Diesel?. Paul will be there to sign copies of his book and chat, and his publications will be available to buy on the night. 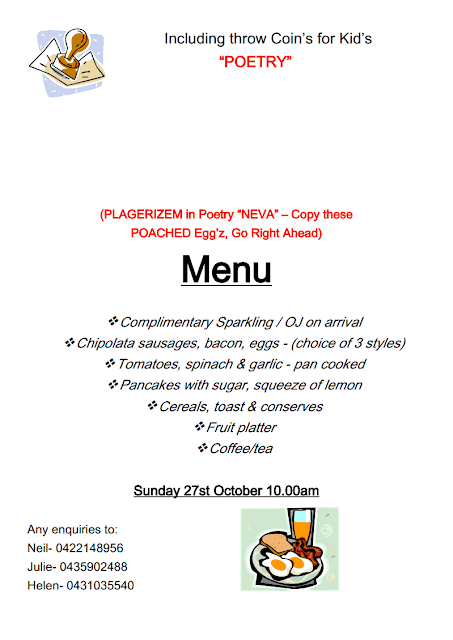 Come down from 6.30pm 24th October for drinks, food and good company! just off the corner of Beaufort and Walcott Streets, Mt Lawley. & I rocked it in places neither horse nor hero hung out. above is constantly chattering, like the biggest disco ball ever. 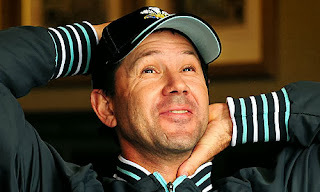 Well, I can't choose what quote to put forward as bait for you to go HERE to read a bucket of Australian cricket news and events, but take it from me it is all worth reading if you're a cricket nut. Ricky Ponting on Michael Clarke, discussions of Aussie batting and curators, Cricketer of the Week, tweet of the week, etc. Off the oval but all to the point. A new employee complained to the Help Desk that she kept making mistakes typing her password. "What's your password?" asked the IT guy. "You told me it had be 8 characters long and include at least one capital." Sit for an hour in any national airport and you’ll see how each of us differs from others in a million ways, and of course that includes not only our physical appearances but our perceptions and opinions. Here’s a poem by Ada Limón, who lives in Kentucky, about difference and the difficulty of resolution. black creosote boards knee-deep in the bluegrass. They look so beautifully abandoned, even in use. to nature, to each other, to the universe. woodpecker flurry, and I refused to call it so. American Life in Poetry is made possible by The Poetry Foundation (www.poetryfoundation.org), publisher of Poetry magazine. It is also supported by the Department of English at the University of Nebraska-Lincoln. Poem copyright ©2012 by Ada Limón, whose most recent book of poems is Sharks in the Rivers, Milkweed Editions, 2010. Poem reprinted from Poecology, Issue 1, 2011, by permission of Ada Limón and the publisher. Introduction copyright ©2013 by The Poetry Foundation. The introduction's author, Ted Kooser, served as United States Poet Laureate Consultant in Poetry to the Library of Congress from 2004-2006. We do not accept unsolicited manuscripts. If you missed the exclusive Tim Winton interview on ABC1'sJennifer Byrne Presents last night, catch up here. Also, check out these behind-the-scenes photos of Jennifer Byrne and Tim Winton on location in Fremantle. Peril - Asian Australian Arts and Culture - is calling out for submissions for a double issues, inviting contributors to consider dualities, binaries, opposites. They accept prose, poetry, non-fiction, essays, blog posts with a word limit of 1000 words, as well as spoken word in video format. Closes 1 November 2013.For more information, visit the Peril website. Cordite Poetry Review is accepting submissions for its next issue, Issue 45: SILENCE, with poetry guest-edited by Jan Owen. Visit the Cordite website, and use their easy online form to submit. 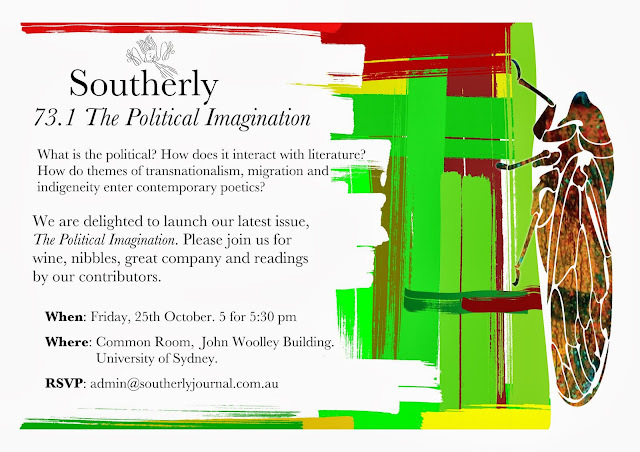 Submissions close 14 November 2013. The Overland Judith Wright Poetry Prize, for new and emerging poets, is now open. The prize is designed to foster poetry for writers who have not yet published a book of poems under their own name. First prize is $6,000, second prize $2,000, and third prize $1,000. Closes midnight, 16 November 2013.Visit Overland for more details. 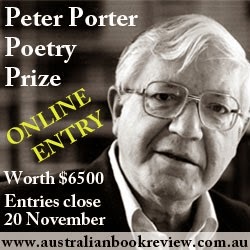 The Peter Porter Poetry Prize 2014 is now open, with prize money worth a total of $6500. Now open to international entrants, the prize is one of Australia’s most lucrative and respected awards for poetry, and guarantees winners wide exposure through publication in ABR. Closes 20 November 2013. Submission details online. Each year the Best Australian collections – essays, stories and poems – bring together the best and brightest that has been written across the country. Selected by an eminent writer, these are collections that show the full range of writing we produce, recalling the year that has just been. This year Kim Scott is the editor of The Best Australian Stories 2013, Robert Manne is the editor of The Best Australian Essays 2013 and Lisa Gorton is the editor of The Best Australian Poems 2013. Black Inc is delighted to announce the writers and poets selected for inclusion in this year’s collections – click here for the list of The Best Australian Stories contributors, click here for the list of The Best Australian Essays contributors and click here for the list of The Best Australian Poems contributors.